"Nobilis. Hannoniae Com. Descriptio". Orig. copper-engraving after J. Surhon's map of the region. 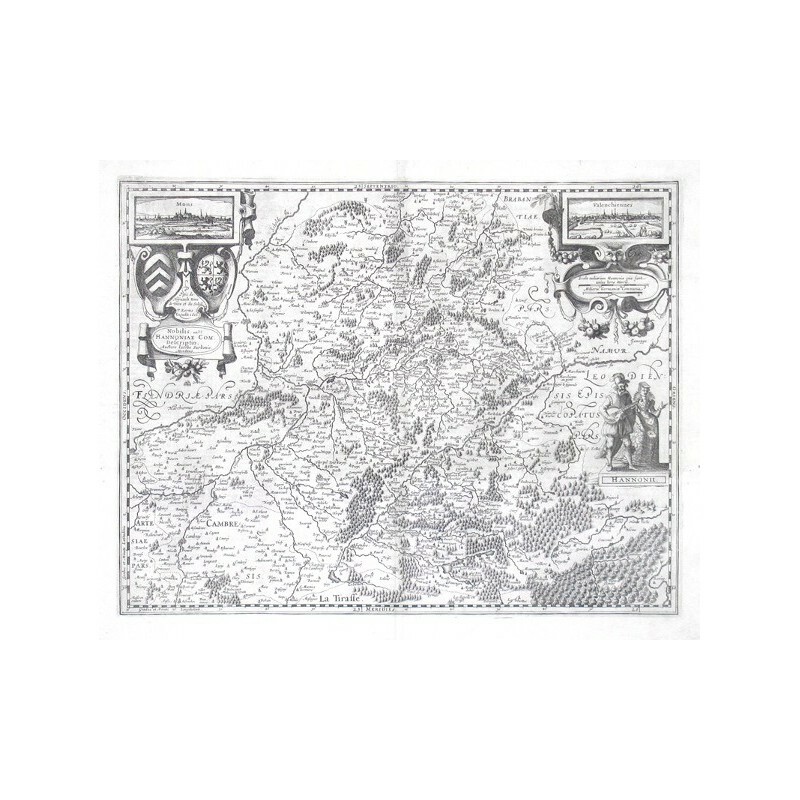 Published in Amsterdam by P. Kaerius (P. van den Keere),in his atlas "Germania Inferior", 1617. With ornamental title-cartouche with 2 coats-of-arms and a view of the city of Mons (3,5:8 cm), a cartouche with the scale of map and a view of French city of Valenciennes (3,5:8 cm) and 2 figures. 37:48 cm (14 1/2 x 19 inch.). Koeman III, map 3320:364, ed. 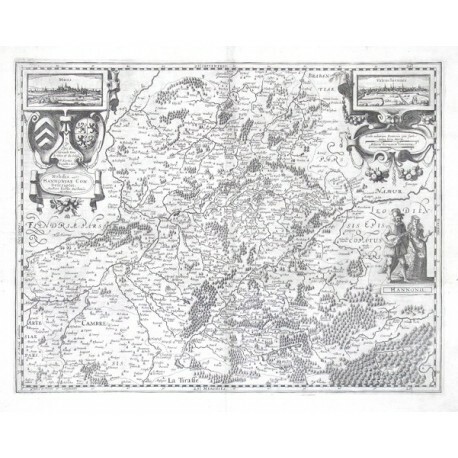 364:01 (1617 Latin) - A decorative map of Belgian region of Hainaut. Rare.